In recent years, summers here in Western Montana have been never ending heat and endless wildfires. Stream closures due to elevated water temperatures, some times at lethal levels, have come to be the expected. Such changes seem beyond reckoning now. I've come to expect my fishing to end with the coming of mid-July and not get started again till the first week of cool nights brings the water temperatures down to reasonable levels. This year we are already well into September, and the water conditions are fairly acceptable, but the fires are still raging in some areas. Mary Lu is back in Virgnia for the month of September to tend to some home refurbishing at the old home place in the Shenandoah Valley. I'm on my own to cook and clean and fish and rub Smudgen. 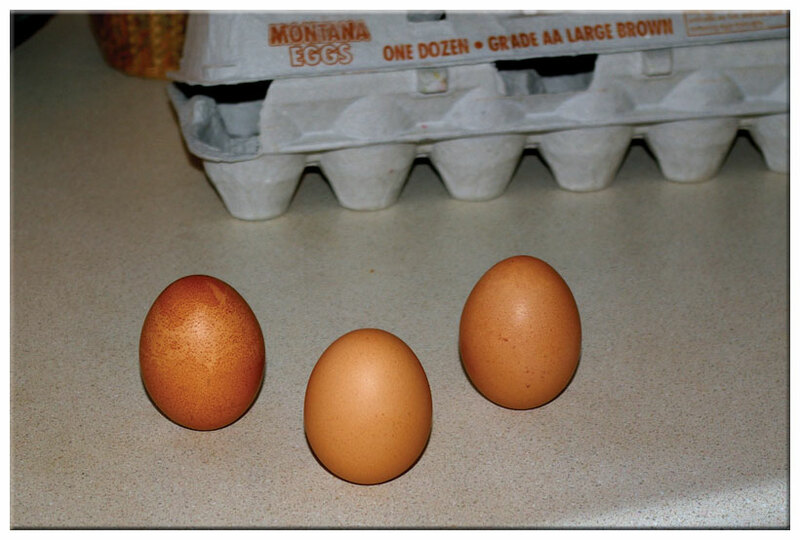 This morning my eggs stood up easily. Some say they balance a little more readily this time of year. I don't know whether that is the case or not, but these hopped right up on end with very little coaxing. You can tell I am not exactly covered up with a pressing schedule, here this early fall. That said, I decided earlier in the week to pay my first visit of fall to Valley River to fish a little on my friend's ranch, as I have for several years now. Tom keeps his ranch posted but shares it with some of us who have come to know him a little. His is a beautiful mile long stretch of Valley River. Few folks are so privileged to live with such bounty. I am very thankful he is willing to share it with some of us who are local enough to be familiar. Sharing with neighbors is the mainstay of the ranchers. They depend on each other for their very existence. It seems, though, that the sharing ethic is the stuff of the old timers like Tom. The new rich who are buying up our Western ranches are the first to establish them as private kingdoms with little regard for the long standing folk who settled the land a hundred years ago. 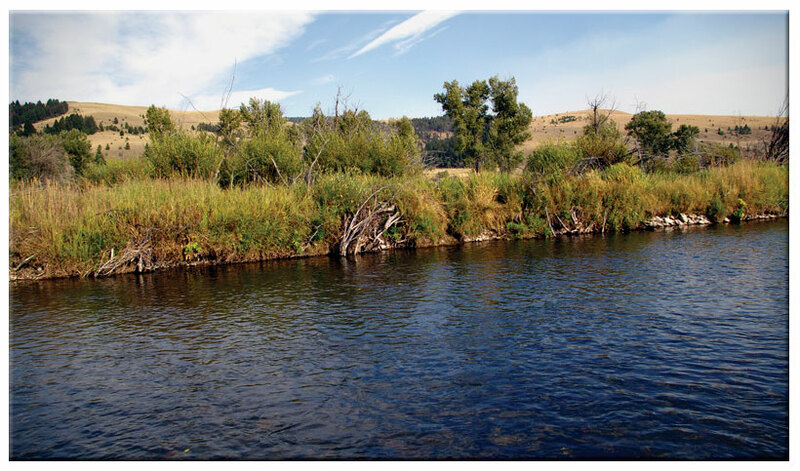 It is not only a theat to Western ranching in general but a very real threat to those of us who have come to enjoy the trout waters our friends have been willing to share with us. Today, before the winds fanned the fires to a fury, the crispness of a cool morning found the trout holding in the quiet waters along the banks. Even wide runs like the one above, with water depths less than a foot next to the bank, held good fish. Browns seem to enjoy such places even more than westslopes. The fish below nudged my Tweeter Caddis, so gently that it almost escaped my notice. Browns seem to take on a ruddy complexion in the fall that mimics the colors we have come to love this time of year. 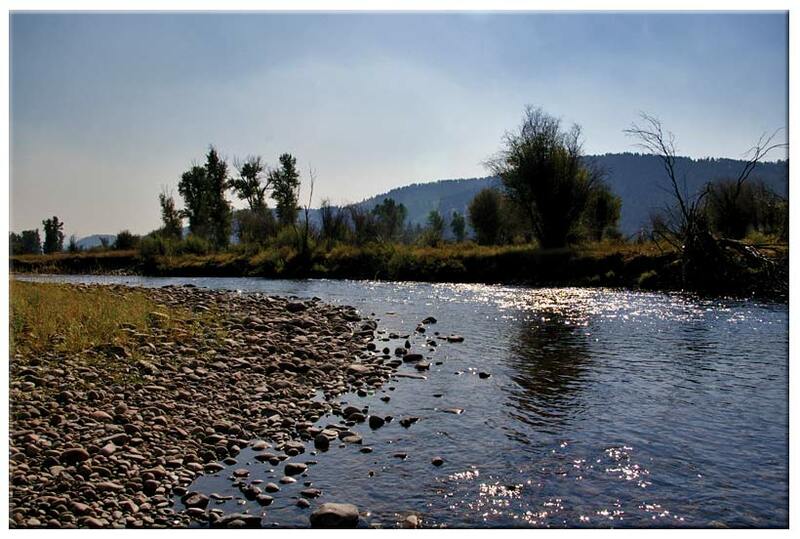 The fish of Valley River, like most of the places I enjoy, are not large, but they are always beautiful. Late morning, the winds began with gusty churns that ripped loose some of the gradually changing leaves of the cottonwoods, and drifted them into my waters to grace the currents with bright colors. 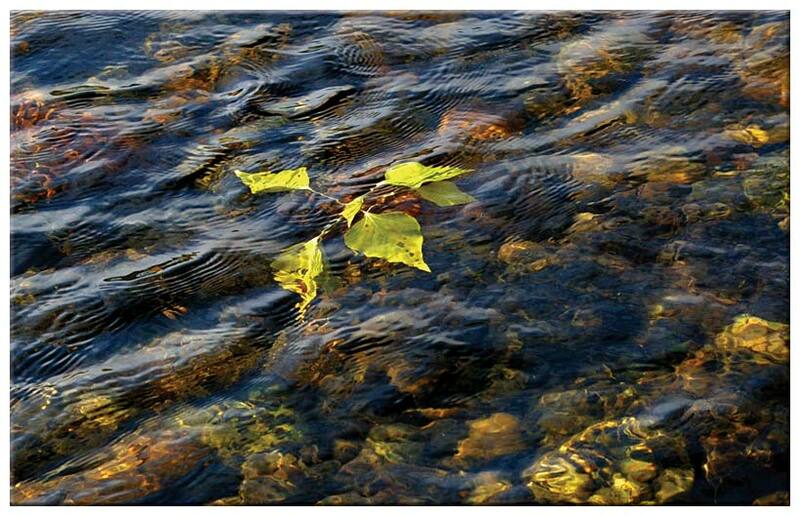 There weren't enough leaves today to make dodging them with my dry flies a chore, though. The coming weeks will see them cascade with the currents like so many bright quilts. My long standard Tweeter Caddis, which I've spoken of in these pages so often that it is surely my obvious standard, proved to be ineffective once the late morning sun warmed the water and brought a few may flies to the surface along with a few risers to give them notice. 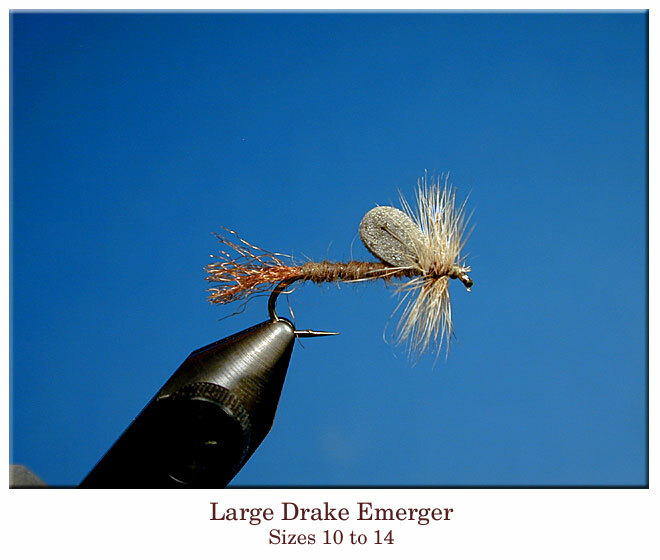 In recent weeks, I've rather rediscovered the foam emerger fly as a good guess for fall may flies. I've borrowed this image from my Favorite Western Flies page. I've known and used this pattern with some success for maybe ten years. My friend, Rob Gregoire, introduced it to me back then. On one of the trips he and Ann made north to visit with Rob's folks in Big Fork, they stopped on the way back to Idaho and visited a spell. When they were leaving, Rob stuck a couple of the emergers into the railing on the back porch, suggesting they might work well for some of my late morning PMD fishing in the Firehole. They did indeed work well, but I had come to be so bent on my usual sparkle duns, that I didn't give them the attention they deserved. Recently, though, I've found them to be a little better for my late summer fishing. They seem to present a little more sparse appearance on the water, which seems a little more effective for cautious trout, and they float as well as sparkle duns do probably because of the small foam wing. This dandy westslope, along with many of his friends, eagerly took the foam emerger, in a size #14 with a tan foam wing. The gusty winds of late morning and early afternoon soon whipped up the wildfires. Several very noticeable smoke plumes became visible along the ridge tops twenty miles to the south. 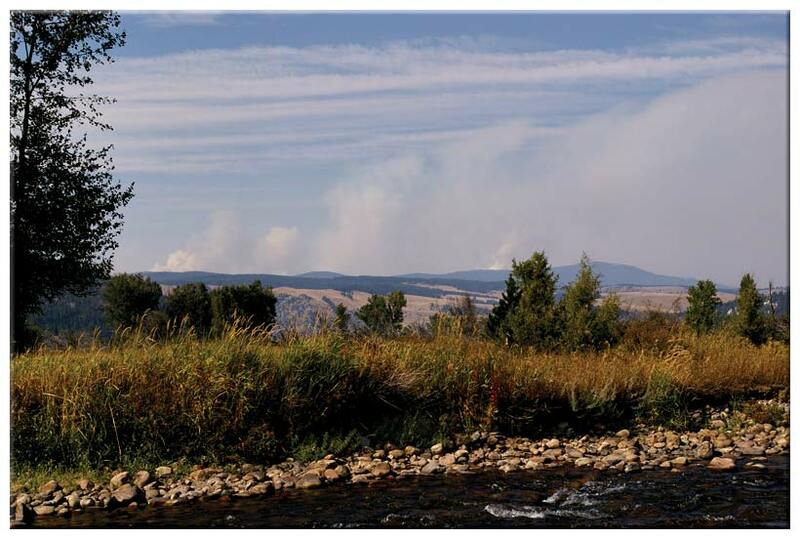 In the next few hours the smoke drifted into all of the wide valley of Valley River. Wildfire smoke in much density, makes my eyes water and my nose run and my throat scratchy. By the time I got to the top of Tom's Ranch I was fairly choking on the stuff. The fishing was good, though, so I persisted to the end. Eastern folks, have probably never experienced the harsh, contrasty light of our Western mountains. This time of year the angle of the sun creates such glare and deep shadows that you almost think you are experiencing a solar eclipse. Those deep shadows, though, allow the trout to enjoy a feeling of seclusion and security. Fishing along those shaded banks often provides the best sport of the day. The shade and cover of the far bank and dead willows provided just the right habitat for this fine fellow below. 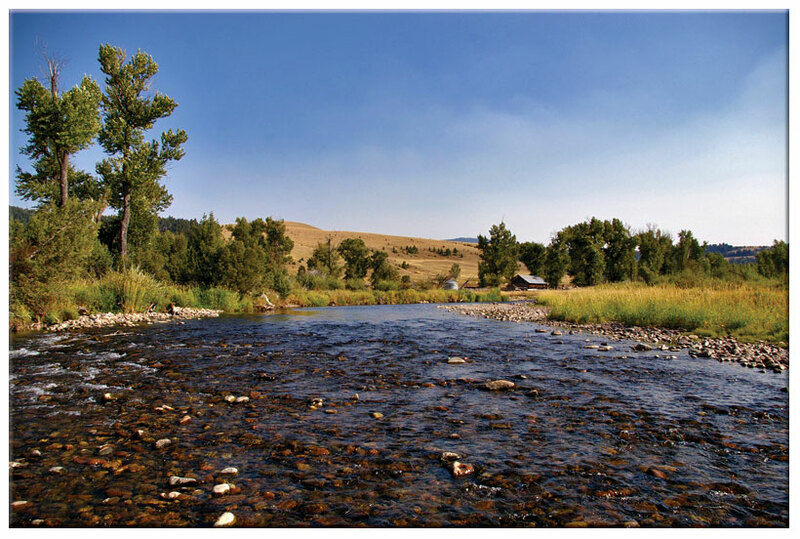 The fish of Valley River are a robust, rugged strain of trout. They tend to be long and streamlined, with large tails and fins. The browns are usually the largest. 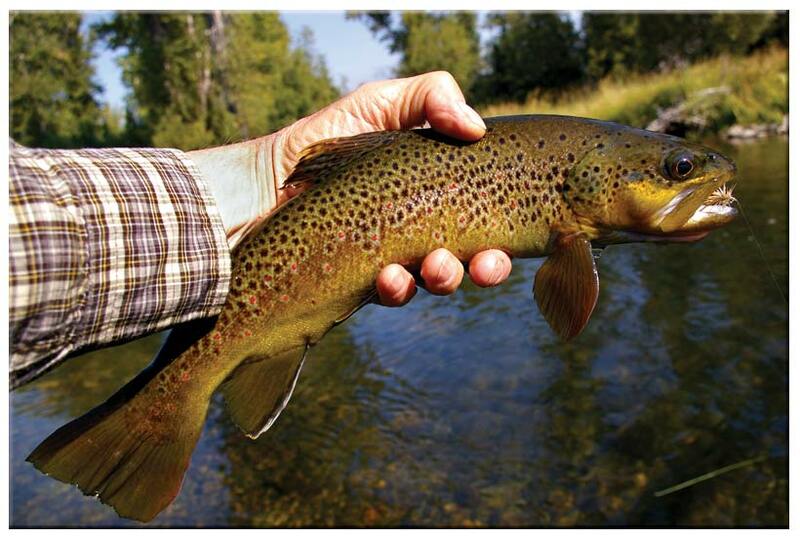 This seventeen inch fellow is one of the better fish in the stream. This time of year, the better fish seem to prefer the quiet waters, where they are quite spooky and easily lined. One good, well placed cast brought this fellow to my emerger. 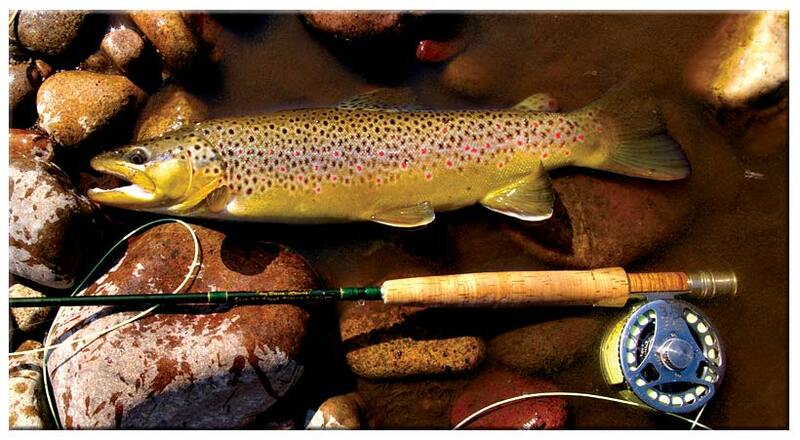 If you are careful and keep a low profile, good runs like in the images above can share several good fish with you. 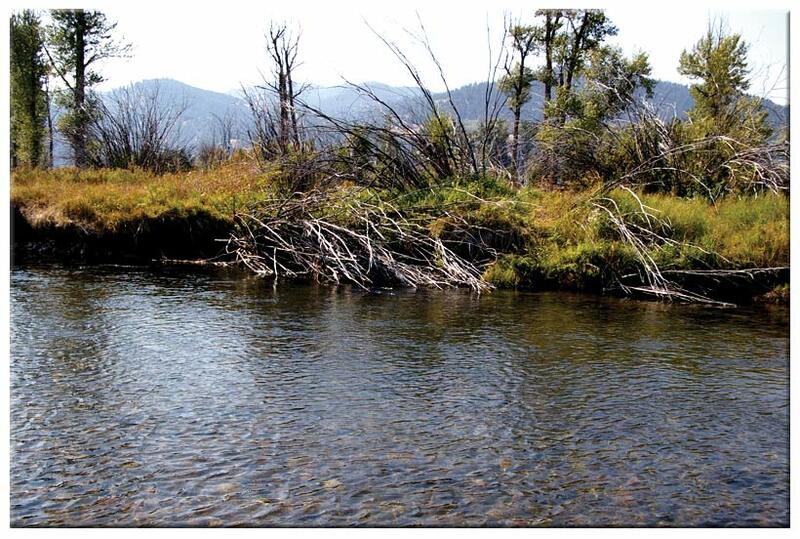 Valley River is mostly westslope and brown trout water now, with a few bull trout here and there. I caught a nice fourteen inch bull dragging a drowned foam emerger back from a tailout today. Bull trout are protected now. Deliberately fishing to them is against the law. I have small ones come to my dry flies from time to time, though. It is always a pleasure knowing they are there. 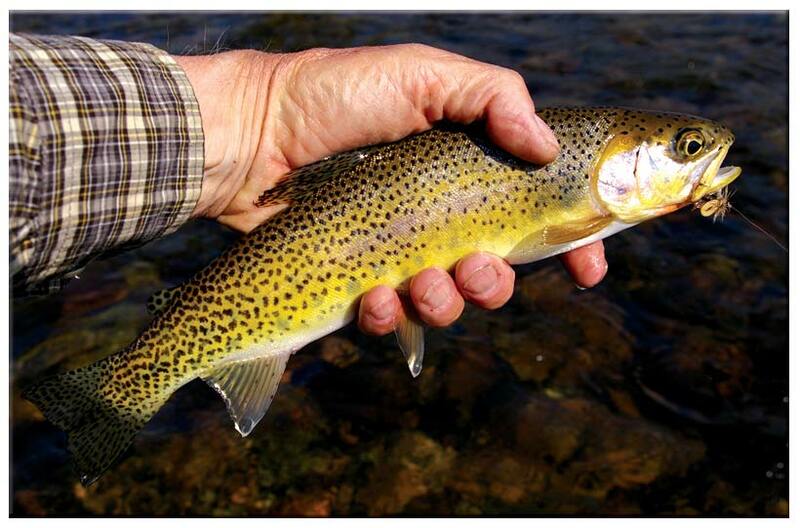 One of the benefits of whirling disease in such westslope streams as Valley River is that it has effectively wiped out the rainbows which have genetically impacted the cutthroats since their introduction years ago. Most of the cuts of Valley River are still pretty pure looking. Some hybridizing has occurred, though. 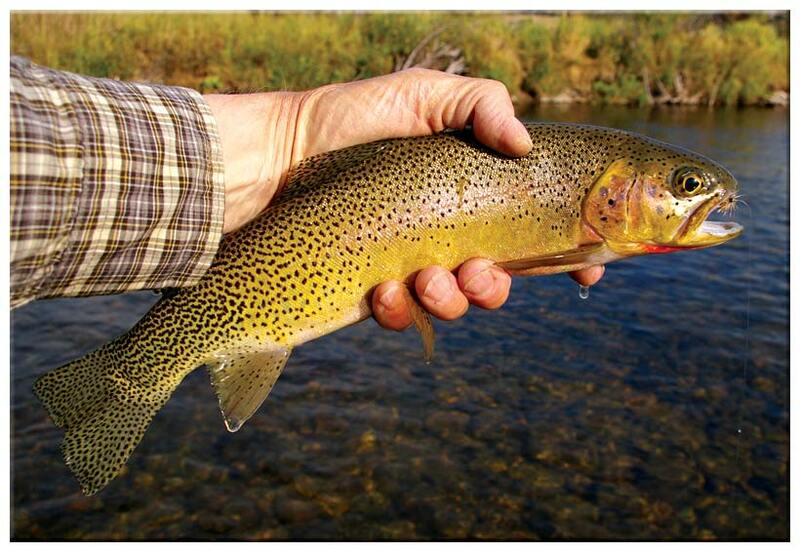 This small cutbow is an example of the impact rainbows have had on this fine fishery. Late afternoon had me to the upper end of Tom's ranch. 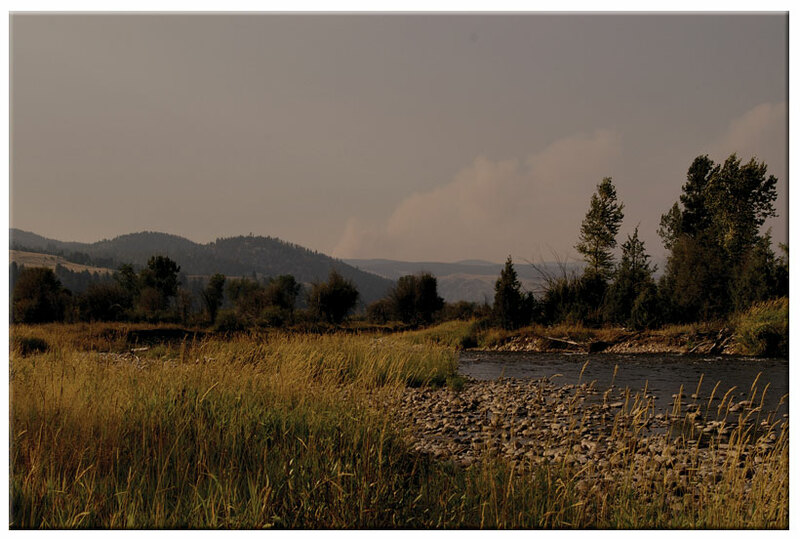 The smoke of the fires to the South had moved north to nearly blanked all of Valley River. My day ended with the drifting of the sun over the hills to the west. My mile walk back to the truck, was a choking one with wildfire smoke and road dust mingling in my palate, but the memories of another fine day sharing my friend's ranch will stay with me till I come again.